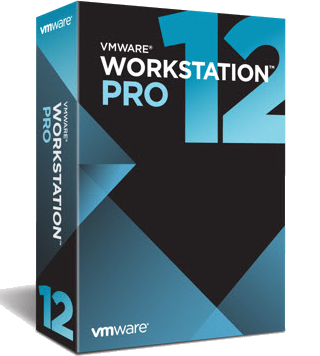 The all new Workstation Pro 12 has been released and any customers who purchased VMware Workstation 11 and VMware Player 7 Plus between July 29th, 2015 and September 30th, 2015 will receive a free upgrade to VMware Workstation 12. 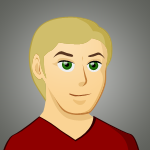 If you’re outside this window and a current user of Workstation, then you can save with the upgrade discount. Be sure to see vmware.com for full offer details and terms related to the free upgrade and upgrade discount for existing customers. Offer ends soon – See vmware.com for more details. from versions 11 and 10. Existing customers can save 40% instantly when buying the upgrade version. As long as you are running a qualifying version of Worstation 11.X or 10.X then you can take advantage of this deal (your existing serial number will be required for proof or eligibility and for verification). No promo code is required as this is an instant discount, but it’s not available to new customers so be sure to check and see if you qualify for this offer. Must be an existing Workstation user. If you are a student or have someone at home that is (regardless of age), then you can purchase Workstation 10 at a discount through Journey Ed (an authorized reseller of VMware’s student licenses). Once verified, you’ll save a little over $100.00 on the full version which will bring the price down to $148.95. Just keep in mind that once you order your license in not refundable. We suggest you take advantage of the free trial if you haven’t before if you are new to using Workstation to be sure it’s the right solution for your needs. Offer only available to verifiable students and teachers. Download it free at vmware.com. We always recommend that you first try any software that you’re looking to get before going out and getting a license, even if you’ve found an incredible deal. VMware specifically has a firm no return policy, but offers a full 30 day trial on Workstation 12. Regardless if you are running an older version or a new client, if you have never tried it before then you can test it out fro free. Afterwards and when you had a change to try out all of the latest features, then you can decide if it’s worth ordering or not. VMware Workstation 13 Release Date Alerts! When will Workstation 13 be released? Expect to see the Workstation 13 beta available by August and the full release is coming in December, 2016. Remember that those who decide to buy Workstation 12 right before the new version is released may also qualify for the Technology Guarantee Program (TGP).